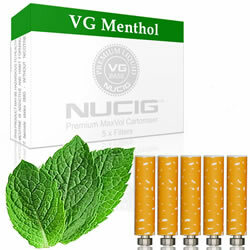 NUCIG® Menthol Flavour MaxVol Filter Pack. Always buy these as they last a very long time. People at nucig very courteousand polite with orders received within 1-2 days.